Now the problem is increasingly appearing in the marijuana industry – with vaporizer cartridges a key target. The issue can be a major headache for targeted companies. Counterfeiting can result in lost sales and downward pressure on the authentic product’s price – not to mention bad publicity if the bogus item is deemed unsafe. An example is Mammoth Distribution, an exclusive distributor for Heavy Hitters, a line of disposable cannabis vape cartridges in California. The company was alarmed when it learned a few months ago that counterfeit Heavy Hitters cartridges were showing up in illegal storefronts. “There are unlicensed shops in California selling this product at a lower price,” said Hannah Davis, chief marketing officer for Los Angeles-based Mammoth Distribution. “This could be potentially unsafe to consumers … buying it thinking that they’re getting a better deal from these unlicensed shops,” Davis said. 1. Counterfeiting in China is rampant. Heavy Hitters’ vaporizer cartridges and packaging are manufactured in China, where rip-offs of mainstream brands are a regular occurrence since intellectual property isn’t as protected as in other countries. Stolen Heavy Hitters’ name and logo. Manufactured unauthorized cartridges and packaging featuring “fairly similar” branding. Sold cartridges online at sites such as Ali Baba. To see one example of a counterfeit Heavy Hitters offering that Davis said was being advertised online in early December, click here. Davis said third parties buy the knockoff cartridges, fill the empty cartridges with cannabis oil and sell them on the illicit market, both in California and in other states – often for steep discounts. “We’ve seen counterfeits up to half the price of what we’re selling,” Davis said. Heavy Hitters isn’t the only company to face this problem. “Name any big brand, go to Ali Baba and search X brand packaging, and you’ll pretty much find it,” Davis said, adding that bogus products are appearing on other websites as well. There’s also no shortage of illegal retailers eager to cash in on brand recognition, said Lauren Fraser, executive director at the Cannabis Distribution Association. 2. The counterfeit problem could expand. Counterfeiting could likely grow larger as long as the unlicensed California market continues to thrive, and Fraser said she’s seen an uptick in complaints about counterfeit products in recent months. “There are still hundreds of unlicensed shops and delivery services in the state, and that is where this issue is most pervasive,” Fraser said, adding that counterfeiting has been growing over the course of 2018, in part because vaporizer cartridges are among the easiest MJ products to replicate illegally. “Some of the larger brands that have real existing market traction and demand are probably the biggest targets for this, because the brands almost sell themselves,” Fraser said. She added that one of the reasons the problem is so prevalent in California is because there are still many unlicensed shops that predate the state’s new fully legal market that launched in January. Many of the brands now being counterfeited also predate the regulated market and therefore already have solid consumer brand recognition. CannaCraft, another California marijuana company, said it began getting reports about a year ago that AbsoluteXtracts, a vape cartridge line it distributes, were being counterfeited and sold illegally. “Obviously, it’s a huge, huge mess if you can’t find those kind of counterfeiters, because we don’t know what they’re putting in those cartridges,” said CannaCraft co-founder Dennis Hunter. Hunter said it’s “scary” to think about the ramifications if a counterfeit vaporizer cartridge was tested and found to contain toxic pesticides, both for consumers that may be using dangerous MJ products as well as the company whose brand was ripped off. 3. It’s unclear what recourse brands have to protect themselves. Mammoth and Heavy Hitters reported their findings to state officials, Davis said, and left it to regulators to pursue. They’re also taking legal action in China, but Mammoth’s Davis declined to give specifics. She also said that Mammoth is focusing primarily on consumer education and getting the word out that Heavy Hitters users should purchase only from state-licensed retailers to ensure they’re buying legitimate Heavy Hitters vape cartridges. Hunter said Santa Rosa-based CannaCraft filed a report with the California Department of Public Health, which oversees MJ manufacturers, but didn’t hear back from the agency about any actions it took. A spokesperson for the state agency told Marijuana Business Daily that investigations are confidential until they are complete, but that it has no record of a complaint being filed by CannaCraft. The agency has seen one report filed to date regarding counterfeit vape cartridges, but the spokesperson did not identify which brand was reportedly counterfeited. “The California Secretary of State has created avenues for cannabis businesses to file trademarks and, ultimately, this enables cannabis businesses to pursue trademark infringement cases in civil court – the same right afforded to other legal businesses in the state,” the agency wrote in an email to MJBizDaily. The Cannabis Distribution Association’s Fraser suggested that brands can try sending cease-and-desist letters to unlicensed retailers selling counterfeit products, but she acknowledged that tactic may not work because illegal retailers are already breaking the law and may not care they’re selling knockoffs. “They’re in a really, really difficult place,” Fraser said, regarding Heavy Hitters and CannaCraft. Hunter said CannaCraft is starting to use serial numbers on its AbsoluteXtracts vape cartridges, so anyone can easily identify whether a given cartridge is legitimate or counterfeit. Sure Heavy Hitters. I see there carts at every illegal church in Costa Mesa. Just look at the Weedmaps directory. Talk about putting your brand at risk. My guess is that you didn’t read the article. Those are counterfeits. Nothing will change until you close down the illegal dispensaries. Illegal dispensaries are the fulcrum of the black market. You really have to question the wisdom of buying a counterfeit cart that is almost certainly filled with pesticides and solvents regardless of how cheap it is. It’s one thing to buy a fake watch and another to be smoking the equivalent of rat poison. When it comes to the product side of things, the first thing you do is change your packaging graphics. The second thing you do is add a special holographic sticker of some kind or activation number that you can check on the website. You can’t sit back and do nothing. You have to jettison the old and create a new package in order to keep the counterfeiter off guard. Final packaging of the oil and cart is done locally so there is no reason why the manufacturer can’t get a handle on things if they are proactive and not trying to be cheap on costs. When it comes to the unlicensed dispensaries, you either have to wait for the state to shut them down, or you can choose not to buy from them. The dispensaries know they are selling counterfeit carts. . . .Or at the very least, not doing due diligence on the product and are willfully blind because they don’t want to know where it came. Plausible deniability. Unless you want to sell your products in the 1980´s you better not add a holographic sticker. It has the same security as closing your home entrance with a piece of paper. In my experience…this is a much bigger problem then this article indicates. Any brand that sends their packaging work to China is opening themselves up to potential counterfeiting. You might save a few cents per carton but at what cost down the road. I am sure you all of heard at least 1 horror story of a bad test on a cart so I will not bore you with my mine. Along with serializing your carts (great job CannaCraft) there are security steps you can take to make your outer cartons traceable and easily identifiable and still maintain your brand. On a similar note… papers – inks – coatings etc in China have no real guidelines or standards. A huge player in the field hired me to do print forensics on a huge shipment they imported. Boxes reeked like kerosene with a hint of ammonia. We were able to salvage these (another long story) but I sure would not want to put my bud in a package that in itself could be toxic. You may pay a few cents extra but remember California has OSHA – AQMD – Prop 65 etc. Companies like ours also hold themselves to many even greener standards and would never steal your brand. Also -we employ a lot of your customers… just sayin. Cheers! There are ways to at least provide a mechanism to distinguish between real and fake. The pharm industry has a number of marking systems on their products to detect counterfeit that can be tracked back to a valid lot code or production number. The cartridges can be marked with a laser or CIJ printer to print a code or 2D QR code that can be tracked back to a real production batch. Those that want the real thing will do it. those that just want the lowest price are not going to pay full price in any case. these codes can be very small. Nothing will change until product makers stop raising prices on oils that are made from left overs, ie. trim not buds, and California stops taxing to death the consumer. CA regulation is ridiculous and is killing legitimate business. It costs more than a quarter of a million dollars to get a license, thanks to all the paranoia from governments state and local, and ill informed humans who are still stuck in Reefer Madness territory. I just read that some nut job is doing a new version of reefer madness, which should help to kill the industry. And the $$ collectors will punish legitimate businesses. $$ is what they care about, not quality. All the testing in the world won’t prove the product is good, just that it is not contaminated. More and more companies are not testing for potency and don’t make claims due to the ridiculous regulations. I got better quality before the regulations. Especially oils that last longer and work better than what is available under the regs. The big industrials are moving in and the little guy with craft product is being pushed out. The entire industry is being ruined by CA. Having worked in brand and supply chain integrity protection for many years, counterfeiting is indeed a complex and growing problem as this article shows. To add to some of the comments above, companies cannot wait for the regulators to step in. Criminals do not have to wait for governmental procedures. There are any number of protective steps that can be taken to safeguard and keep brand integrity using packaging and labeling. Holographic images add security, but criminals counterfeit holographic labels easily. Serialization numbers are easily copied and most customers do not check their authenticity. Even highly developed, well-regulated pharmaceutical and tobacco industries face these challenges. At the end of the day, a company’s reputation can not only be damaged but they carry the liability regardless. Being proactive is a must for this growing industry. Hunter wasn’t dealing with counterfeits. He was shipping them dirty p**** sticks out the back door. Counterfeiting began a long long time ago and it’s never going to stop but educating the consumer will eventually cut into black market share. AbsoluteXtracts are the most popular black market cartridge in Massachusetts, sold by most illegal delivery services across the state. At first I thought some young entrepreneurs where shipping them from Cali to their friends on the East coast but I soon realized the quantity that hit the streets here meant this was a very serious problem. These cartridges are coming into the US prefilled with who knows what, I doubt it’s Cannabis oil let alone contaminated oil! I sympathize with the owners of these brands and other legitimate companies trying to build a business in this industry but my bigger concern is for the unknowing customers who are probably vaping something that’s not even Cannabis. We’re very lucky in the states that have a legal regulated market, it’s the states that are slow to convert that will force consumers to risk their health continuing to buy from the underground market. This is the 2st Century, Cannabis is know longer just a bag of dry flower it comes in many forms of delivery systems (cartridges, concentrates, syringes, capsules, edibles, tinctures, nano, patches…) these are very easily counterfeited abroad, buyer beware! This problem will stop when two things happen that are closely related. First, CA government has to start enforcing the rules uniformly across the board to all parties involved. 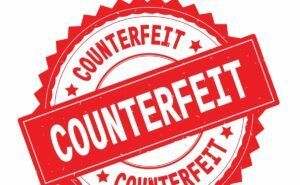 This will require those businesses on the fringe to get in-line with the rest of the legitimate businesses and allow the government officials to get the counterfeit product off the streets. Second, the industry has to relax and be more tolerant of letting the officials in to do their job. I understand that we are in a transition period; however, you need to stop acting like a Search Warrant is needed for any government official to enter the business to do their job. The industry is becoming legitimate which includes being regulated. Start letting government in to regulate it and you’ll see most of the counterfeit nonsense be pushed to other states. WOW, glad I found this. It goes a long way in explaining the various product issues and the reactions of the dispensary workers when consistency issues are brought up. However, most of my issues were with Bloom, which is supposedly not on the counterfeiters list. I do feel like I have received fake Heavy Hitters at a licensed dispensary, but one not on HH approved list. I do see 4 carts for $120 on craigslist all the time, but was always wary of the lower price. The industry will suffer a loss of integrity from this, integrity it doesn’t really possess yet in order to loose.